Forest Garden Europa Dome Gate 6ft High: purchase the Forest Garden Europa Dome Gate to add an interesting visual twist to your garden. The trellis-like board design will match any type of interwoven board fence you might already have installed. The Dome top not only will look great by breaking the monotony of horizontal lines in your garden, but also add to your sense of privacy. 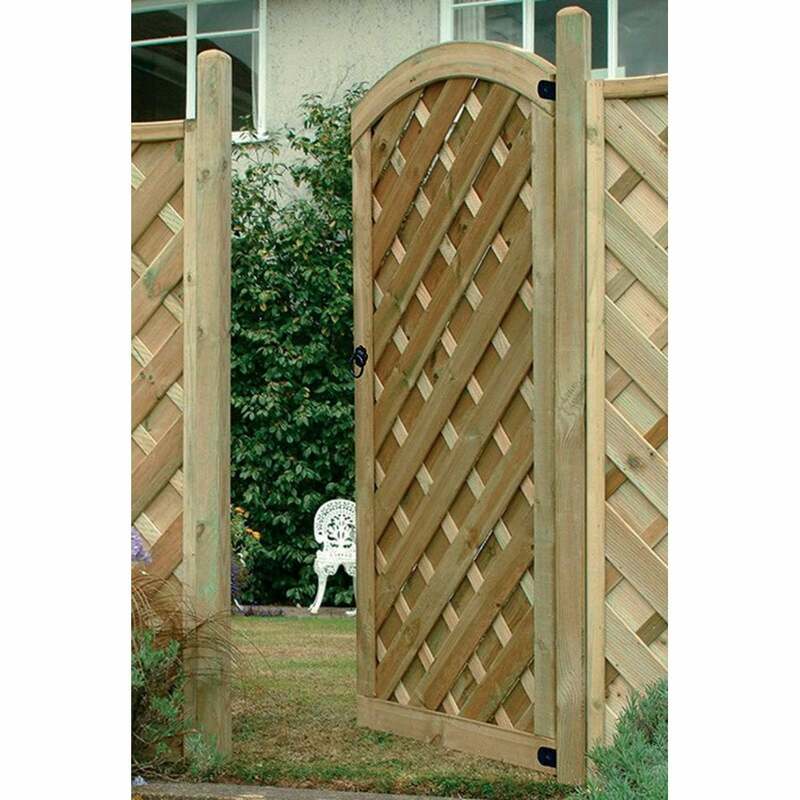 It is also recommended to use this type of gate with decorative high-level Forest Garden Panels. Go for the Europa Gate if you are looking for a traditional beach feel, as the interwoven board design of the gate could be associated with beach structures and easy summer days.